Classic shape (more wingish than current releases) like the first final run had. Our lovely sILYYcone response and a C-sized KMK bearing. Additionally, we tweaked the rims for better IRG accessibility and a floatier play. Orange / titanium candodize to offer a unique look whilst maintaining the true E1NS look. The yoyo you’ve all been waiting for. Arrives this spring/summer. 2010 brings back our legendary E1NS. We added our masked guts and gave it a slick and classic colour. 2006, raytsh and I had an idea. A small super smooth, well gaped yoyo. E1NS was born. And now it’s back, better than ever. Redesigned from scratch, Candodize finish, brutus rims and a whole bag of awesomeness. Shipping soon! We’re proud to announce our latest creations. Liopleurodon and Falcon. Both full sized and incredibly good. 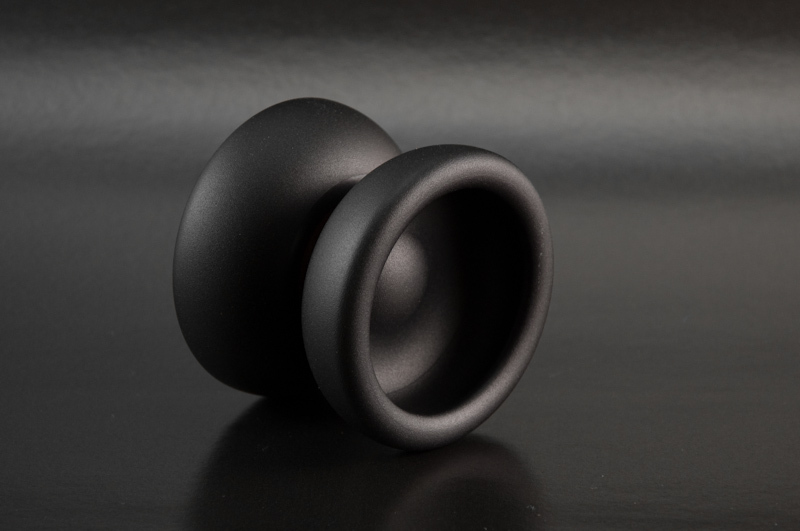 Also, our classic yoyo got an update: the brand new E1NS09! Check the yoyo information pages for specs and more pics. Finally, after ages of waiting, the Noctu batch is finally done. 120 pieces will be on retail soon. We also made another 50 E1NS, but unfortunately, our machinist used the wrong alloy which made the E1NS come out damn light. Their weight (61g) is now comparable to the first E1NS released in early 2007. They have a noticeable vibe/wobble and we would like to call it a “C-Grade”. Due to this flaw, the final retail, if we decide to sell them in general, will be as cheap as possible. Now for the improvements: Both E1NS and Noctu now use our famous Candy Blast coating! Also, we decided to make Noctu lighter (64g). Now it’s an evil and fast beast. E1NS is back! For now exclusive to our german community. Better than ever. This redesigned version features more weight, brighter colours and an immense amount of extra smoothness. Try it to believe it. Check out Luke Vader’s awesome job on this E1NS prototype. Keep up your awesome work! Make sure to check out all pictures on Luke’s flickr! Yesterday, E1NS Pearl was put online on YoYoNation and once again the servers crashed due to immense traffic. Insane! One thing I’d like to mention: These are not a new batch, just some stock remainers on which we put a new coating. For more information about Pearl check the yoyo pages. Rick made a fantastic picture using his special all orange E1NS and a ILY-T-Shirt. Really cool, mate! …goes out to Eazy G! Check out his amazing photos showing E1NS with some fine G-Strings.